From Yahoo News and Reuters. Janet Reitman has written a book on the mysterious and somewhat frightening Scientology cult titled Inside Scientology. They really don’t like negative publicity so I imagine that researching this book must have been at least a little dangerous. Of course I don’t think they still break into offices but you never know. L. Ron Hubbard’s paramilitary organization SeaOrg is still in business. A: Is Scientology still a big religion in celebrity circles? Reitman: I totally think that celebrity Scientologists are hesitant to be public about it these days, but I don’t think they’ve ever had as many celebrities as people think. There are really very few. Cruise is a big celebrity. Travolta is a long-time celebrity. Jenna Elfman had a TV show, but most of these people aren’t huge celebrities. Kabbalah has gotten the superstars. Demi Moore, Ashton Kutcher, Madonna — those are big stars. Q: How effective has Cruise been as the public face of Scientology? A: I don’t believe he’s been an effective face in terms of getting new members, but he’s been very effective in terms of getting the existing members excited. There was a specific strategy in place to make Cruise into the model Scientologist. It was a promotional strategy and it’s been good and bad. Existing members are not necessarily aware of how the church is perceived. They are told they should not read newspapers, they would not have watched the “South Park” episode that makes fun of them, and they would not have read the magazine article that became the basis for my book. So from their viewpoint, Cruise’s behavior would be perceived completely differently than what we see. It would have made them really excited to see him jumping on Oprah’s couch. Q: Why do you think Scientology remains so controversial? A: I think it has to do with its history of secrecy and also its history of litigiousness. I do think that’s changed slightly. In so many ways it tries to not be so secretive anymore. It tries to be less aggressive than it was in the past. You don’t see them filing those giant lawsuits any longer. I think it’s a residual effect. They pled guilt to conspiracy once. They conducted a domestic espionage operation. And you have all these people who left the church coming out about their experience. Q: What shocked you the most about Scientology? A: I didn’t expect to find out how much of a business they were. They are almost like a multi-level marketing firm. They have a very shrewd marketing sense. They are drilled on how to sell. They use a book written by a car salesman that talks about sure-fire sales techniques and it shows you how to close the deal. It’s an essential part of their training. I think that L. Ron Hubbard’s death might have caused them to mellow a little, along with the very negative publicity when the details of more of their more unsavory and illegal actions came out. I am not sure I will get around to reading this book. I already know enough about Scientology. On the other hand, if I discover hundreds of one star reviews on Amazon.com that were obviously written by the kool-aide drinkers, I might just buy it out of spite. 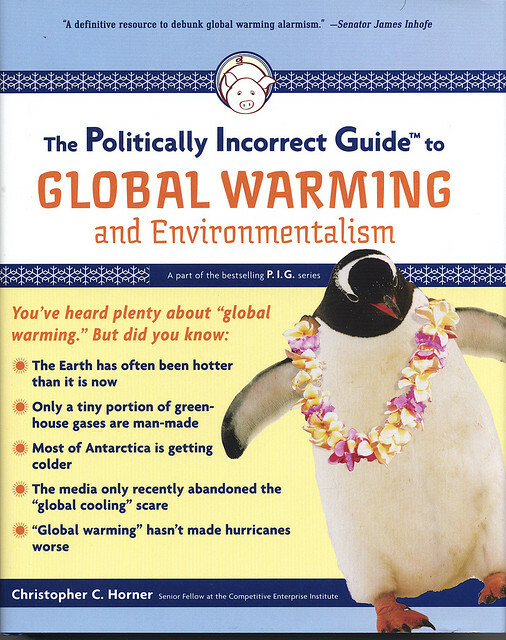 Whether you are a true believer worried about the terrors of global warming (climate change/climate catastrophe) or a skeptic who wants some solid information to convince your friends, you have to read The Politically Incorrect Guide to Global Warming and the Environment. If this well-researched book does not play an important role in finally debunking the global warming scare, then nothing ever will. Alas, I fear that nothing ever will since the hypothesis of manmade global warming has proved to be strangely unfalsifiable. The 1990’s had a higher temperature than average because the weather stations in Siberia were closed down after the collapse of the Soviet Union. The Kyoto treaty is completely ineffective. Most of the countries that are increasing their carbon emissions, including China, India, Brazil, are exempt. Assuming the alarmists are correct, then at best, the Kyoto treaty will reduce the temperature increase by .07 ° C. That is assuming that the emission targets are met, which is impossible. If after reading this book, you still are not convinced, ask yourself this. Why do the alarmists resort to deception so often? From the climategate scandal to the hockey stick fraud, they exaggerate and lie. Why do they try to suppress dissenting views, if the science is all on their side? Why do they claim a consensus when none exists? I think this cartoon sums up the debt situation so far. Thanks to Conservative Byte for showing it. Ann Coulter can be called many things; controversial, partisan, pugnacious, acerbic. One thing she never is dull or uninteresting in her writing. Coulter is a natural polemicist and pulls no punches as she attacks Liberals. Her jabs are always right on target and do not fail to draw blood. Although she writes with a cutting tone, she is able to display a leaven of humor that distinguishes her from mere spewers of bile from the Left and Right. 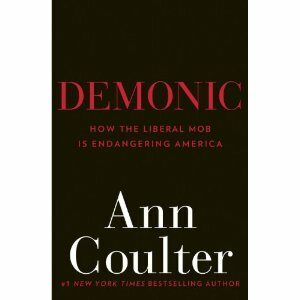 In her latest work, Demonic: How the Liberal Mob is Endangering America, Coulter uses the 1896 book by French sociologist Gustave Le Bon, The Crowd: A Study of the Popular Mind, to explain the actions of Liberals, especially their preference for acting in mobs. This might seem to be her usual partisanship but even a casual observer of politics cannot help but notice that Liberals often form mobs and protest. Conservatives never do. The TEA parties might fairly be called anti-mob s since the participants obeyed the laws and even picked up their trash. The best part of Demonic is part 2, the Historical Context of the Liberal, in which Ann Coulter gives a brief summary of the French Revolution and contrasts it with the American Revolution, emphasizing the preference of the former’s leaders for mob rule and the latter’s for ordered liberty. The only fault that I can find with Ann Coulter is that she is sometimes overly simplistic, equating Democrats with Liberals with both being irredeemably bad. For example, in Chapter 12, she relates the history of political violence in America, noting that every presidential assassin has been a Liberal. That is true of Charles Guiteau, Leon Czolgosz, and Lee Harvey Oswald, but it is a stretch for John Wilkes Booth. The Ku Klux Klan was, largely, a Democratic organization, but the men who made up the Klan had a very different viewpoint than most Democrats today. Still, I highly recommend Demonic to any Conservative who wants to know more about why Liberals act the way they do, or who just wants something fun to read. Liberals with a weak heart should probably avoid reading anything by Ann Coulter. That’s what Paul Krugman thinks. I wish I knew what medication he is on. I would like some too. Here is some more of his madness. Imagine making insane demands like actually balancing the budget, or at least not running trillion dollar a year deficits before the credit rating agencies down grade us. Crazy! Over at National Review Online, Kathryn Jean Lopez interviewed Mustafa Akyol, a Turkish Muslim who wrote a book titled, Islam Without Extremes: A Muslim Case for Liberty. In his book and interview, Aykol makes the case for an Islam more receptive to Western ideas about liberty and freedom. He does not believe that it is necessary to abandon Islam in favor of westernization but argues that Islamic traditions and scriptures favor freedom. LOPEZ: You ask, “Could authoritarian Muslims be just authoritarians who happen to be Muslim?” But isn’t it a huge obstacle that they have as much Islamic material to work with? AKYOL: Sure, there is a lot of material in the classical Sharia that Muslim authoritarians of today can refer to — as they do. But I am showing that those materials were also products of authoritarians who happened to be Muslim a millennium ago. One of my basic arguments is that most authoritarian elements within the Sharia come from post-Koranic (i.e., “man-made”) parts of Islam. I also show that the more liberal strains within this “man-made” tradition were suppressed by the more rigid camp, which we face in the modern world, in its purest form, as Wahhabism. So, essentially, he argues that Islam, in its purest form is not an authoritarian ideology, but rather that authoritarians in the early, formative years of Islamic law strongly encouraged the development of authoritarian strains in the laws and traditions of Islam. I like how he implies that the supposedly ultra-conservative Wahhabis are, in fact, innovators. LOPEZ: Honor killings and female-genital mutilation: Even if in your reading the Koran doesn’t prescribe them, does it matter when this seems to be a growing or widespread — or at least not uncommon — problem among Muslims? LOPEZ: Is this book a call for a Muslim reformation? AKYOL: Well, if that is a reformation with a capital R, as in Christianity, no. For, as I have said, we don’t have a central religious authority in Islam that we can reform. But I certainly argue for renewing our understanding of Islam, rather than preserving it as it was interpreted 1,000 years ago. The medieval division of the world into “House of War” and “House of Islam,” for example, is totally irrelevant today, for many Muslims feel much safer in lands that are ruled by non-Muslims. Good point about honor killings. I have a feeling that that practice would end quickly if it were applied to men. I am not sure how any Muslim scholar could reliably differentiate between the teachings of God and the teachings of men. As far as I know, everything in the Sharia is supposed to be of God. 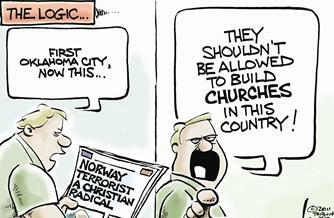 It is interesting that many Muslims would feel safer in non-Muslim countries. Back during the Crusades, many of the Muslim population of the Holy Lands preferred to live under the rule of the Crusaders, to the disgust of Muslim chroniclers. It would seem that the Crusader tax collectors were not as rapacious. LOPEZ: Should Muslims and non-Muslims be able to work together on the issue of religious freedom? We are facing some serious threats to individual conscience rights of religious people here in the U.S. Could there be a real coalition? AKYOL: Of course. Actually, many pious Muslims will be positively surprised to learn that there are Westerners who really care about religion and want to cooperate for the rights of all religious believers. For historical and geographic reasons, most Muslims know the West only from Europe, which is, as you know, thoroughly secular. That is, in fact, one of the reasons that many pious Muslims reject any reform in their tradition. Once a prominent Islamic intellectual in Turkey told me, “We don’t want to begin with concessions, in order to end up like those godless people in Amsterdam.” He probably would find more common ground with people from America’s Bible Belt. I thing that Akyol is absolutely right about this. I don’t imagine that our incredibly vulgar popular culture is winning us many friends in that part of the world. Conservative Christians and Muslims probably would get on well together if it weren’t for the ‘kill the infidel’ thing and the anti-Semitism. LOPEZ: You don’t appear to have a problem with Sharia courts in England. This isn’t a matter of religious intolerance but justice and practicality: How can a country with dual legal systems possibly work? AKYOL: I look at that as I look at the Halakha of Orthodox Jews. The British “Sharia courts” actually evolved from the same arbitration courts that Orthodox Jews also have used for decades. And their scope is limited to issues such as settling financial and family disputes. If they violated any basic human right, such as ordering a corporal punishment, I would certainly oppose them. But there is no harm, I believe, in allowing conservative communities to settle some of their disputes according to their traditions, as far as they remain under the umbrella of the law of the land. This is not a dual legal system, which had its merits in the pre-modern times, but a sub-level system under a single national law. Another example might be canon law, which governs the Catholic Church. I don’t the precedent though and I think it is only a matter of time before Sharia courts in Britain begin to demand jurisdiction in criminal cases. LOPEZ: The issue of Israel is one that seems to be an irresolvable one in the Middle East. As a Muslim, do you believe there is a realistic peace plan? AKYOL: Sure. It is commonly known as the two-state solution. And, on both sides, there are people who would settle with that solution, along with people who have more maximalist goals. On both sides, I support the minimalists. Here, let me also add that I don’t see the Palestinian–Israeli conflict as a religious one: It is a land dispute between two nations. Yes, Jerusalem is sacred for Muslims, as it is to Jews and Christians, but, as a Muslim, I am not horrified to see it under the Israeli flag as long as the Dome of Rock is open to Muslim worship — as it is now. I value Palestinians’ claim to East Jerusalem as well, but out of a respect for their national aspirations, not any theological necessity. He’s right but he misses the essential point. Until the Muslim world abandons the Islamic version of the Brezhnev Doctrine, Muslim territories must be Muslim forever, Palestinian-Israeli conflict is going to continue. LOPEZ: You’re a fan of Prime Minister Recep Tayyip Erdoğan, but he’s moved the country a little more Islamist than some would like, hasn’t he? Meanwhile, though I disagree with Michael Rubin and his very pessimistic outlook on Turkey, I do see problems in Erdoğan’s style, such as his confrontational tone and intolerance of criticism. But these are issues with his personality, and problems with Turkish political leaders in general. (As I once said, “AKP is not too Islamic, it is too Turkish.”) Personally speaking, my ideal Turkish leader is President Abdullah Gül, whose worldview is similar to Erdoğan’s, but whose tone is much more conciliatory, modest, and nuanced. LOPEZ: What was your lesson from seeing your father in jail for writing? It might have made some young boys look for a different career. Here is another point: In the past decade, Americans have repeatedly heard the stories of ex-Muslims such as Ayaan Hirsi Ali, explaining how they, in their childhood, were oppressed by some ruthless cleric in a radical madrassa. My story reminds them that Muslim kids can be oppressed by some ruthless officer in a secular garrison as well. When people see both of these stories, perhaps, they might feel that the problem with tyranny is not a direct problem with Islam. LOPEZ: Does it worry you that there is as much court action by the Turkish government against journalists as there is? AKYOL: Yes, it does worry me. But I was more worried in the ’90s, when death squads, on the orders of Turkey’s overbearing generals, were assassinating journalists. What I mean is that press freedom has always been attacked in Turkey, and things are actually better now than they were before. This should not minimize today’s problems, but it should put them in context. The basic trouble is that we have illiberal laws about “insulting state officials” or “spreading terrorist propaganda,” and courts are often aggressive in executing them. Moreover, the recent impression that whoever criticizes the AKP goes into jail is simply not true. A few journalists are in custody (wrongly in my view) for allegedly taking part in coup schemes, whereas most others are accused for pro-PKK propaganda, or membership in Marxist-Leninist terror groups. LOPEZ: The murder last year of Catholic bishop Luigi Padovese doesn’t suggest everything is as peachy for Christians in Turkey as you paint it, does it? AKYOL: No, it is not peachy at all. Not just Bishop Padovese, but also Fr. Andrea Santoro and three Protestant missionaries were brutally killed in Turkey in the past decade. But please note that these murders were committed by ultra-nationalists, not Islamists. (In Turkey, the Islamist movement has been largely peaceful, whereas violence has been a hallmark of Kurdish separatists, Turkish fascists, and the Communists.) It might be worthwhile to note that some of the people suspected of arranging the killing of the three missionaries in eastern Turkey were also the same people who are on trial for conspiring a military coup against the AKP. It is a good, and forgotten, point that the military rulers of Turkey were not exactly paragons of human rights. I am far less confident than Aykol is about Erdogan and the AKP. I think there is a good chance that Turkey will go the way of Iran under the AKP, though I’m sure Aykol knows far more about Turkish politics than I do. LOPEZ: Would you encourage full transparency in the building of mosques? Would you be supportive of communities asking questions — such as, who is funding this? — before permits are issued? A board member who supports Hamas, for example, would understandably be an issue. AKYOL: I would care more about the content of the preaching in a mosque, than about its financial resources. As for supporting Hamas, well, I condemn the terrorist actions of that organization, but I see that it is also a political party with hospitals and charities. (Had they been more strategic about it, they might have made the IRA/Sinn Fein division that the Irish nationalists did.) So, any support for terrorist acts is of course intolerable, but holding someone responsible for donating to, say, a Hamas-related hospital or kindergarten, and opposing a mosque for simply getting money from that same donor, might be too much. In Turkey, we have similar questions regarding the PKK, the Kurdish terrorist group. My take is to condemn the violent acts of the PKK, but also to understand that it has a political wing and many social networks, which I don’t oppose. I actually think that tolerating the peaceful side of a quasi-militant movement might be a better strategy for its moderation, rather than blocking it by all means. I am not for letting Hamas off the hook quite so easily as that. Bad people do good deeds for all sorts of reasons, good public relations, salving consciences, etc. Hitler was nice to his dog and his secretary. 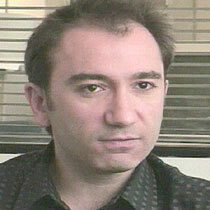 I hope that Mustafa Akyol is successful in his efforts, both for the West’s sake and the Middle East’s. I can’t say that I am very optimistic though and I think that he downplays just how difficult modernizing Islam is likely to be. At the very least the Sunni Muslims are going to have to reopen the door of Ijtihad, or Islamic jurisprudence that was closed around a thousand years ago. This will not be easy or safe as anyone who proposes new interpretations of the Koran or Sharia stands a good chance of being labeled an apostate or heretic.